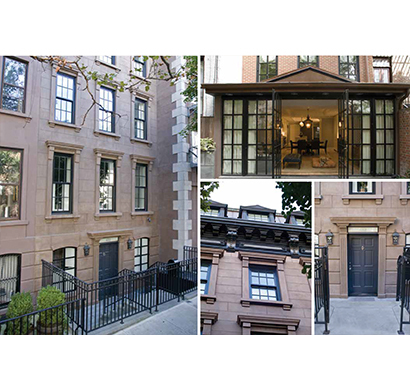 From classic to contemporary, Liebhaber Company renovates in prestigious Manhattan addresses with discerning architects, designers and owners. Clients choose us because we combine uncompromising quality and workmanship with attentive concierge-like service, doing everything in our power to make the project as stress free as possible. We ease the concerns of our clients who are often frustrated by poor service, concerned with meeting a move-in deadline, or overwhelmed by the sheer size of their project and time invested in it. We’re known for our refreshing flexibility in project delivery. If your timing or requirements change during the construction process, we seamlessly adapt to meet your needs. We are committed to our clients' projects throughout their entire life-cycle. After construction, our service department is there for you with warranty support, general maintenance and add-on projects. We've been renovating spaces since 1993 and are proud of the reputation we've built! Liebhaber Company specializes in fine residential renovations — townhouses, apartments, combinations, duplexes and lofts. A complete townhouse renovation with a new 4th floor addition and 3-story addition on the back of the home. A penthouse renovation with replacement of continuous window wall. A transitional pre-war apartment with high gloss finishes and an epoxy kitchen floor. A contemporary 3,500 square foot loft space with a custom stained, ultra-smooth finish concrete floor that was cast in a single monolithic pour. A vintage chic loft with custom copper countertop, leather paneling, and walnut cabinetry. Liebhaber Construction combines expert craftsmanship with first class service and hospitality. Call us today to discuss your project needs.